Be confident purchasing your first home in St. Louis with this guide to closing costs. The Sean Z Mortgage team is dedicated to educating potential first-time home buyers in St. Louis to be set up for success. This includes making sure you understand each step of the home buying process. For example, there are a number of fees to be paid when you are at the closing for your new home. These fees cover a variety of inspections, legal costs, and document generation. Once you apply for a mortgage, the lender is required to supply you with a Good Faith Estimate (GFE) of what these costs will be at your closing. This is an estimate and is a good guide to help you understand what you can expect. There are three different categories of items you will find in the closing costs of your new home. Mortgage fees are the charges to you by the mortgage company financing your home. Lender fees and points – This is an upfront charge for obtaining and then processing the loan on your behalf. This fee is measured in points, with one point reflective of one percent of your loan. The more money you are borrowing, the more you may be paying in points. Loan origination fee – This is payable to the lender for the work in evaluating your loan qualifications and preparing the necessary documentation for your loan. Application fee – This is a separate charge for obtaining your current credit report and processing your loan application. Appraisal fee – An appraiser will be retained to evaluate the value of the home you are purchasing. This third party charge will be included in the fees you are required to pay. Property survey – A separate independent report is needed by a firm who will survey the property you are purchasing to ensure that any permanent structures on it are in compliance with St. Louis and Missouri laws and that the boundaries of the property are where the seller claims them to be. Private mortgage insurance (PMI) – A type of mortgage insurance that protects a lender when less than 20% of the homes value is given as a down payment. The initial cost of this insurance will be payable at closing and monthly charges are added to your mortgage payments. You have the right to have this insurance removed once you have gained 20% equity in the home. Homeowners insurance – As a mortgage holder you will be required to obtain homeowners insurance for the property. This protects the home and its contents in the event of a tragedy. 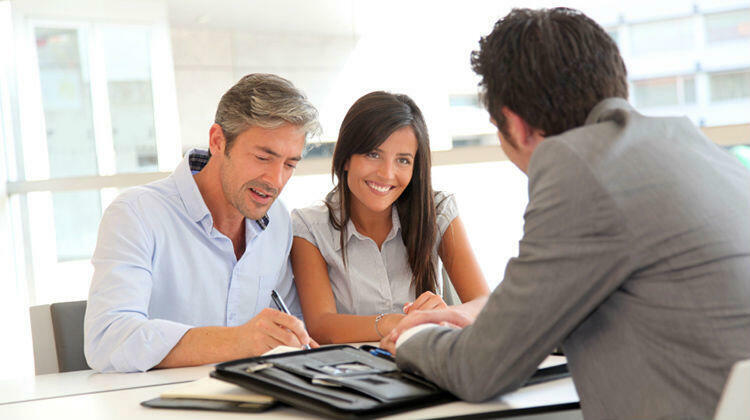 There are separate fees that will cover the cost of a title search and insurance. This is done to ensure that the home you are buying is in fact owned by the seller. Along with the search, there also may be a charge for title insurance. This protects the lender and new owner in the event that something was missed during the search. The transfer of title is a legal process which may include separate attorney and document fees. You may also be responsible to pay the local government for the transfer of ownership along with the local and state taxes on the property. In many cases you can ask that the property tax be included as part of your monthly mortgage payment, allowing the lender to be responsible for seeing that it is paid on time. It can be hard work to try and sort through all of the charges associated with the closing of your new home. Sean Z Mortgage “TBD Mortgage Approval Program” will take the stress out of buying your first home in St. Louis! Get Started Today! Call (314) 361-9976 Now! Simple planning and saving tips for St. Louis first-time home buyers. Purchasing your first home is a huge investment; it is also one of the most rewarding ones you can make. If home ownership is part of your future plans, it is never too soon to start planning ahead. Once you have a time frame in mind for when you think you will be ready for home ownership, open up a savings account. Consider opening a short-term investment account such as a CD. The nice thing about this type of term account is that you are discouraged by withdrawing any funds early by penalty charges. If you are hesitant, thinking you may need some access to your money, there are other higher interest savings accounts to consider. The important thing is that you are putting money aside for a down payment. Not only will this save you money on PMI insurance when you are shopping for a mortgage, it will make you a more desirable applicant. Your credit report is going to make a big difference in the type of mortgage you may qualify for. Pay your bills on time and avoid having multiple forms of credit with high limits. Some of your utilities can also show up on a credit report so make sure you are paying those on time as well. Another thing about a credit report that many people don’t realize is that a high number of inquiries will also bring your score down. Only apply for credit that you actually need and will use, and keep your balances at less than a third than what is available to you. Lenders generally do not like a borrower who quickly maxes out all of their available credit. On the other hand, no credit may be just as worrisome to a lender as bad credit, so you will want to establish a history; just make sure that it is a good one. Once you have a substantial amount of savings and your credit history looks good, you can begin to shop for your mortgage. Shopping for the house first makes no sense if you have no idea how much credit a mortgage broker will offer you. Bring all of your information to a qualified broker like Sean Z Mortgage to find out not only how much house you can afford, but what kind of mortgage options you have. The “TBD Mortgage Approval Program” can give you the confidence of a “Cash Buyer” while buying a house in St. Louis. If you prepare ahead of time and call the Sean Z Mortgage Team at USA Mortgage, owning your first home will be a reality! Call us today at (314) 361-9979.